Some individuals manage to shell out immense pain through their musical catalogues. Such is the case with Jonatan Leandoer Hastad whose stage name is Yung Lean. He spent his childhood in Minsk, Belarus and spent most of his life in Stockholm, Sweden. His mother works as a human rights activist and his father is a poet, author and literature translator. Yung Lean has matured greatly from the inception of his career and delivers raw and real versions of hip-hop music. Leandoer is a part of the Sad Boys with his friends Yung Gud and Yung Sherman who handle the production, mixing and mastering of his musical endeavors. He first got hooked on the genre of hip-hop around the age of eight when he started listening to 50 Cent’s “Get Rich or Die Tryin” and Nas’ “Illmatic.” Before becoming popular, Yung Lean would perform 50 Cent piano covers and upload them to YouTube. Although his very first remembrance of recorded music came from the likes of Cher and Black Sabbath. At the age of sixteen, he conducted his first onstage performance in Gothenberg, Sweden. His most recent performance for the release of his album, “Unknown Memory” sold out world-renown New York venue, Webster Hall. Yung Lean comes from the same generation of artists such as Fredo Santana, who emerged during a time when hip-hop began to embrace drug use and outsiders. Yung Lean enjoys the aspect of being a hip-hop outsider because it allows him to steer in his own direction and does not require him to answer to others or commit to certain favors within elitist circles. In his mind, from a young age, he was destined to be a star. But, he has never been one to lose track of where he came from or disband from where his loyalties lie due to fame and stardom. He would much rather idolize his friends and boost up what those around him are doing rather than flock to the hottest thing. 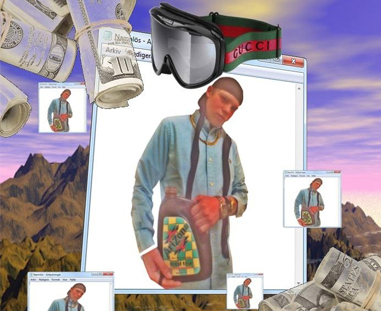 Yung Lean achieved international popularity by using nostalgic imagery related to computer graphics such as the Windows 7 logo and achieved viral status with the hit song, “Ginseng Strip 2002.” At first, it might seem as if the lyrics are rather tongue-in-cheek in order to mock the current climate of the genre. Otherwise, the song has a smooth vibe and he glides over the track with peculiar references and strange tropes that truly differentiate him and place him in an outcast category that he gladly adopts. He does a terrific job of using double entendres and compounding new phrases on top of the line just previously used before. By mashing up synonyms and homophones, Yung Lean brings a refreshing perspective to hip-hop as a whole. Adjusting to life in America as a hip-hop star was not the easiest feat for Yung Lean. In Sweden, modesty is a deeply ingrained cultural value. So, not only did he struggle with asserting himself, but at times he did not fare well with the access that popularity brought him. It is difficult to handle situations when people will literally hand you money or drugs just because they appreciate your musical persona so much. Such was the case for Yung Lean when he was preparing to put the pieces in place for his “Warlord” album. 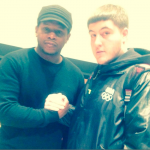 When the rest of his crew departed back to Sweden during a stopping point in the album’s progress, Lean decided to stay in Miami with his manager at the time, Barron Machat. He found himself within a downward spiral of drug abuse and addictive tendencies. He began to write a book titled, “Heaven” which detailed his childhood nightmares of people that turn into rats (the animal sign of his Chinese zodiac.) 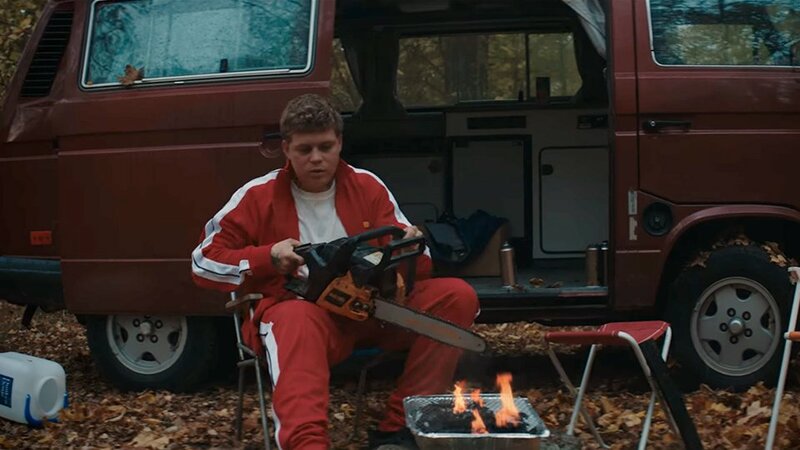 Eventually, Yung Lean would need to be checked into a mental hospital and would move back to take a hiatus from the industry with his family in Sweden. During this troubling period in his life, Lean lost his entire hard drive for the album when his manager died in a car accident while driving under the influence of Xanax. Lean is a nonconforming artist who defies societal norms, refuses to copy others and generates new ideas based on his personal preferences. He is deeply in touch with his emotions and his musical catalogue embraces the struggles of life. It is easy to tell that although the music he releases can be dark and strange at times, overall it serves an uplifting purpose by helping listeners through tough times. Most of Yung Lean’s songs are well-received and are rather serious in nature. The music he puts out are innovative, melancholy tunes that contain rare and earnest allure. He uses devices such as mundanity and irony with specific purpose and it serves his catalogue very well. The music he puts out is compelling, hypnotic and can be consumed within the same realm as “New Age.” If it weren’t for hip-hop being the most popular genre of this era, Yung Lean would most definitely be a punk rocker. He accentuates eccentricity with sartorial splendor. He is a sonic painter of strange visions. Moral of the story: be yourself and the best results will develop. VICELAND & Action Bronson’s Culinary Excursions, Blue Chips 7000 & more!